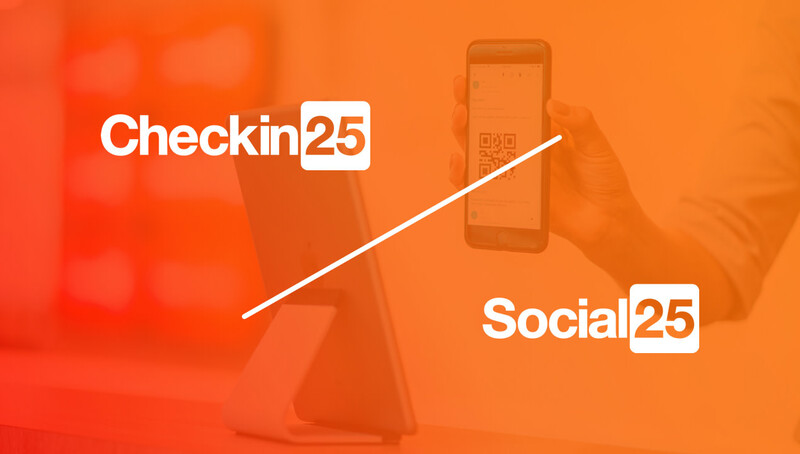 Prior to the Salesforce World Tour Amsterdam, The Netherlands’ main Salesforce-based app developer Gen25 announces two new applications: Checkin25 and Social25. Based on the total added value of Gen25 to Salesforce, the specialisations and certifications as well as the high customer satisfaction, Gen25 has also been named Salesforce Platinum Consulting Partner. Checkin25 is a hybrid mobile application, developed using the Salesforce mobile SDK and the Salesforce Platform of Gen25. It is an easy to use application for check-ins in hotels for example and visitor registration for companies, saving time and boosting productivity. Social25 is a complete customer service solution bringing together the various channels in one application and interface. Through the Salesforce integration, all chats from the different channels are shown in the existing Service Console. Being awarded Platinum Consulting Partner status is the result of the consistently high scores on customer satisfaction and knowledge, in combination with parameters like recruited Salesforce clients and size of the implementations. “For some considerable time now, Gen25 has been a Salesforce implementation partner and it is one of the few in Europe to combine three Salesforce Partnerships. We have named Gen25 Platinum Consulting Partner because of their contribution to Salesforce business by facilitating innovation and transformation on our platform” says Luc Schamhart, RVP AppCloud at Salesforce. "What many people don’t yet realise, is that Salesforce is about much more that just sales", says Gen25 founder and CEO Gijs Martens. "An increasing percentage of the Salesforce environment is focused on service. The sales of the future will truly become service-driven. We are currently highly regarded in the Salesforce Service Cloud and we want to maintain our reputation of being the best. We also want to secure positions in the other clouds." Gen25 is a growing Amsterdam-based company that builds apps ideally suited to the mobile needs of the youngest generation. Gen25 clients are active in many different branches. "We do a lot in retail, real estate, transport, media, financial services, hospitality and automotive", according to Martens. "Within those groups, many customer experiences overlap. By sharing that knowledge, our clients can find inspiration in successful ideas from other branches." One of the best known Gen25 projects is the boarding pass in Facebook Messenger for KLM Airlines. In addition, Gen25 has enabled KLM to deliver worldwide servicing on Facebook Messenger and WeChat.